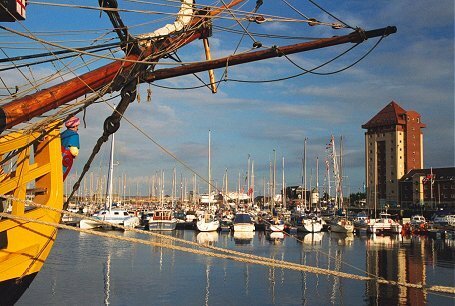 Wander around the Maritime Quarter and take in some of Swansea's proud heritage. Start by familiarising yourself with the life and works of the city's most famous son...Dylan Thomas. The Dylan Thomas Centre, formerly the Guildhall, houses the permanent 'Man and Myth' exhibition, based on the largest collection of Dylan Thomas memorabilia in the world. 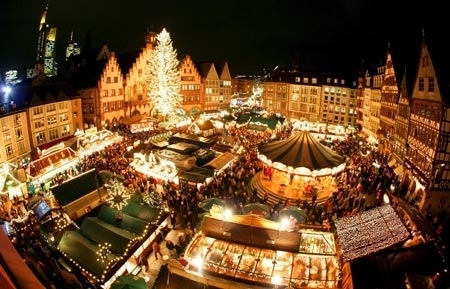 The centre also regularly hosts events, films and talks. Walk a few yards around the corner and you will find two of Swansea's most intriguing Museums: Swansea Museum and the National Waterfront Museum. Swansea Museum the oldest museum in Wales (built in 1884), is a real treasure trove containing all kinds of historical artefacts from Swansea, Wales and all over the world ranging from an Egyptian mummy to a traditional Welsh kitchen. It is easily recognisable by its neo-classical style and impressive columned frontage. The National Waterfront Museum tells the story of industry and innovation in Wales and Swansea over the last 300 years through interactive exhibits and more traditional displays. The collections on display include maritime, transport, technology and retail artifacts. If you fancy some fun and adventure then head to the LC The LC leisure complex contains an indoor water park with a variety of pools and slides, a 30ft climbing wall and an indoor children's play area. It also contains the Boardrider, the world's first deep water standing wave machine. Make your way through the marina towards the sea and you will come on to the promenade itself. From here you will see the prom snaking towards Mumbles. Head west and you will come across the Civic Centre Here you will find the state-of-the-artLibrary with thousands of books for you to discover as well as host of regular events. You can even delve into your family tree in theFamily History Centre (5) or explore the maritime and industrial history of the city at the West Glamorgan Archive Service. As you leave the maritime quarter and head towards Mumbles you will pass Victoria Park, a beautiful urban park renowned for its striking bedding flowers, herbaceous borders and the Patti Pavillion, donated to the people of Swansea by Dame Adelina Patti. Victoria Park is also home to a bowling green, tennis courts, skate ramp and a children's play area. Also in the vicinity...Mission Gallery and Attic Gallery – get a taste of Swansea's contemporary art scene. Dylan Thomas Theatre – take a look at the unique illustrated panels and discover more about Dylan Thomas's time as an actor with the Swansea Little Theatre. 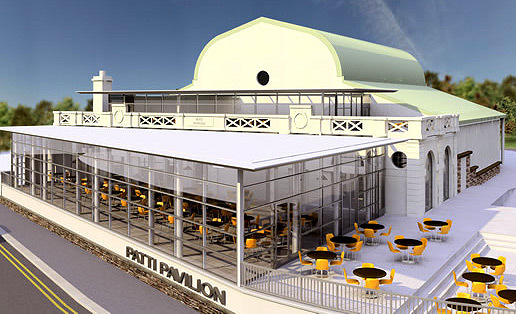 This is also Swansea's only waterside theatre. Tram shed - containing memorabilia from the street trams of Swansea and the world famous Mumbles Train. Floating Exhibits - Lightship 91, known as 'Helwick', a tug boat called 'Canning' and the 'Olga', a Bristol Channel Pilot Cutter. The 'Olga' is an important and rare survivor from a past time and is listed on the National Historic Ships Committee Core Collection list. 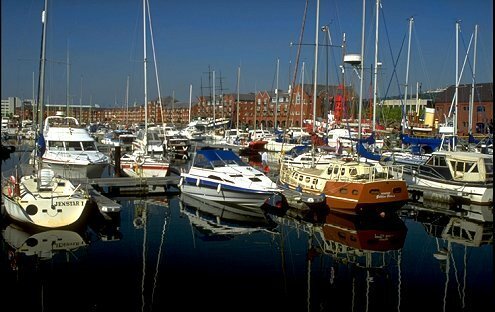 Swansea Marina - a flotilla of boats, quirky cafes and great restaurants. There is always something going on and plenty of things to do around Swansea and the city is extremely proud of its comprehensive calendar of local events and popular festivals. The highlight of the year is without doubt the Swansea Bay Summer Festival, which features many different events all through the summer and is regularly attended by more than 300,000 people throughout the period and offers carnivals, live music and more. Also worth noting, the prestigious Swansea Festival of Music and Arts is held each year in the middle of October and has become one of the UK's largest music festivals, with concerts and solo performances in many of the city's central venues, including the Brangwyn Concert Hall. Further concerts are held all through the year in Swansea, including performances by the Welsh National Opera and also the highly regarded National Orchestra of Wales, together with theatrical events and shows at the city's Grand Theatre, Penyrheol Theatre and Dylan Thomas Theatre. Be inspired by nature.Rural Swansea is perfect for a countryside escape with dog-friendly rambles across rolling countryside or miles of winding Coast Path. And don’t miss the Waterfall at Penllergare – it’s a must to put on your ‘Swansea Bay Moments’ to do list. Cwmdonkin Park is a beautiful park situated in the heart of the city. The park has recently benefitted from an extensive regenerationprogramme with funding from Heritage Lottery Fund, European Regional Development Fund, Visit Wales and the City and County of Swansea. With the perfect blend of natural beauty and excellent facilities including a bowling green, children's play area, tennis court and walking trails, it's well worth a visit. The park also has a popular events programme taking place throughout the year in partnership with the Friends of Cwmdonkin Park. A beautiful park with unique features and various references to Dylan Thomas, including a memorial stone which has lines from "Fern Hill". Internationally famous for its superb collections of Rhododendrons, Pieris and Enkianthus, the gardens offer a haven of tranquility, lush planting and interesting features. Our specialist parks are truly magnificent, blooming with rare species, national collections and famous annual displays. The prestigious parks with green flag status are a sanctuary for people from the hustle and bustle of city life. The gardens are truly spectacular all year round. 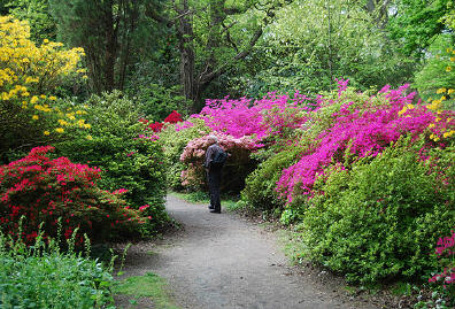 If yu want to explore the gardens at your own leisure why not follow our Clyne Gardens walk. 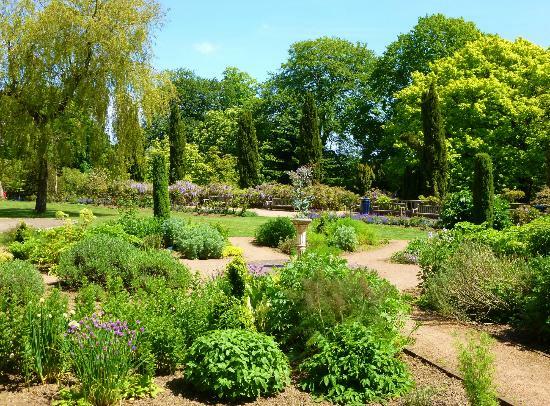 The beautiful Botanical Gardens are based in the old walled garden of Singleton Park. The gardens contain fine specimens of rare and exotic plants from around the world. They are at their most spectacular during August when a full programme of events, tours and demonstrations are staged during Botanics in Bloom. Although the gardens are at their most stunning in August, there is something to see throughout the year. The herbaceous borders are a fantastic sight from late March until mid October, and even during the harsh winter months the garden has lots to offer with up to 200 different plants having been seen in flower during the Christmas season. 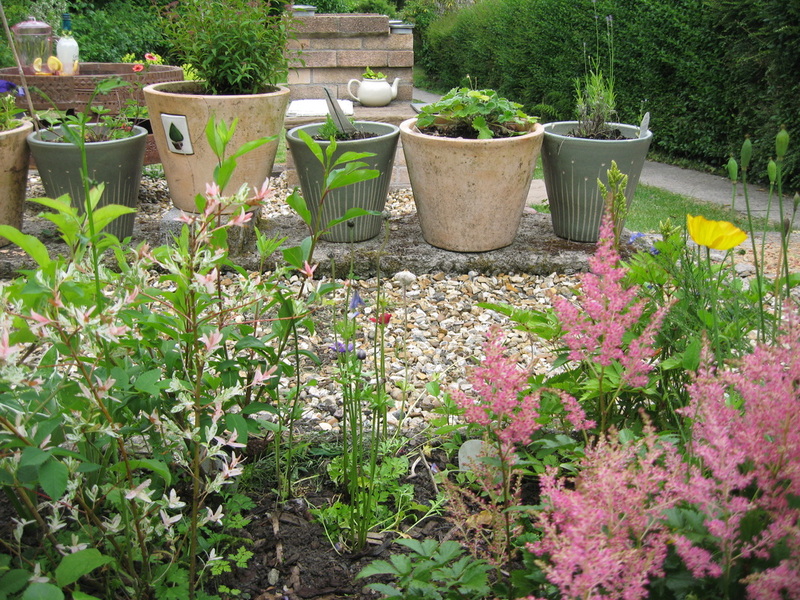 As this garden is set within the tranquil surroundings of Singleton Main Park, it is a very relaxing place to come and browse or gain inspiration for your own garden. There are plenty of places to sit and admire the delightful views.